The Sears Lifestyler Treadmill has a reputation as a low-cost treadmill option that provides the basics in a good cardiovascular workout, according to Treadmill Reviews. Without the bells and whistles of high-end treadmills, the Lifestyler is a reliable option for in-home workouts or for light commercial use. The 2800 Lifestyler Treadmill is a fold-away unit for easy storage and space conservation. With a standard deck and motor, the unit is a reliable option for both walking and jogging, notes Fitness Gear 101. Other Lifestyler models offer different motor sizes for heavier usage, but overall the brand is known for its quiet, reliable function. The Lifestyler brand of treadmills originated in the 1980s and was discontinued about 10 years later. However, because of their reliability and continued availability of replacement parts, there is still a market for used versions of the brand. 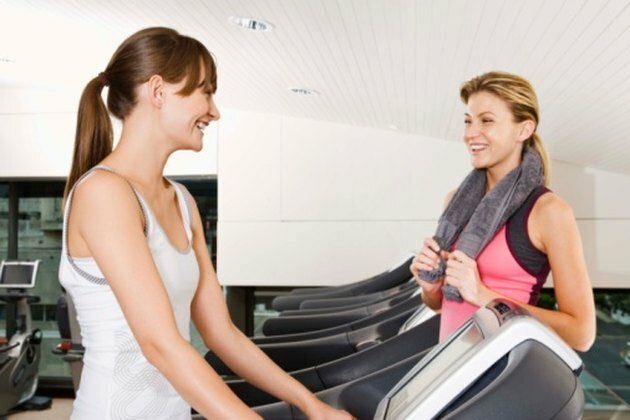 Sources like eBay and Craigslist frequently get for-sale postings for Lifestyler Treadmills. According to Treadmill reviews, the Lifestyler Treadmill gets high marks from both experts and consumers for its ease of use. The Lifestyler is activated by the touch of a button and is designed to cushion your workout for maximum joint protection. There are, however, no preloaded programs, high-tech monitoring devices or entertainment ports for high-end users who enjoy gadget-loaded exercise equipment.